I've just returned from a 3,000 mile round-trip family road trip from Olympia, Washington to San Diego, California and points in between. We make this trip every 18 months or so and for added amusement I count Euro Fords. The trick to counting cars on long trips is to pick a type that you know that you will see some of, but not in overwhelming numbers (as a kid I remember counting Rambler and AMC cars). For that reason my count excludes Contours and Focuses. It also excludes any Euro-Fords seen at the homes of any EFONA members I might be fortunate enough to visit along the way (that would be cheating!). The problem is the numbers keep dwindling each trip. In May 2004 the count was nine, in October 2005 four and May 2007 just two! road trip, please post the results here. Living the the Mid-west U.S. Euro Fords are far a few between. Growing up my family would always look for U-Haul and Ryder trucks, same idea, somewhat rare but enough to count! 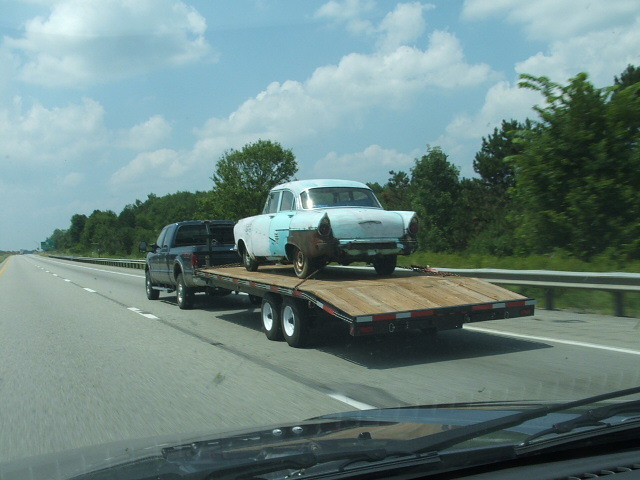 This photo of a P2 Taunus was taken somewhere on I-80 on 8/1/07. The photo was forwarded to me by John Rotella, but I don't know who the photographer is. Wonder were the car is now and what will become of it. Ocean Shores (WA.). I saw what I believe to be a '78 Capri. It was a Capri II, on I-5 going up the Nessqually hill on Sept. 1st. Other than that, I did see some fun old cars and hot rods. What color was it? I would say that has been two or three years since I last saw a Mk II Capri on the road. That car was yellow and I spotted it twice in the area between Tacoma and Fort Lewis (which is near where you saw this one). Hi Mike. Sorry for not responding to you til now. The car colour was a red/orange. Earlier this summer I saw 6 XR4ti's in in Bremerton at the same time (and not just the ones in my back yard either!) when PNWMON held a mini meet and autoX. All right. I'll try to get to Bremerton this coming year. English Ford sighting. 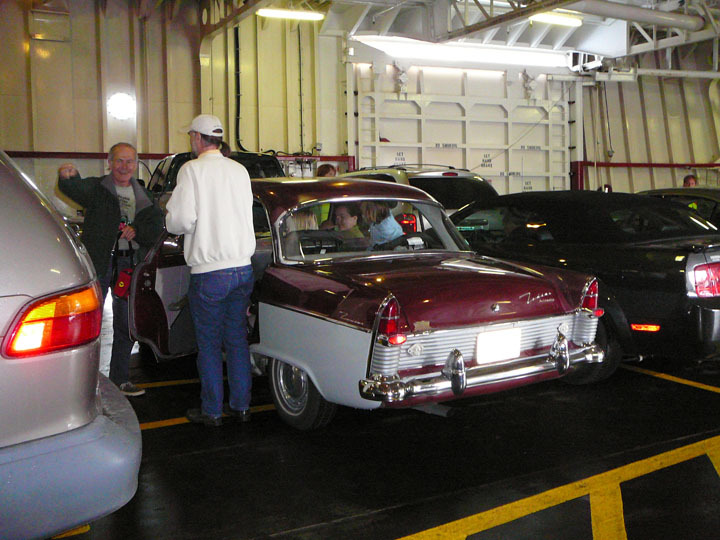 Here is a candid photo of my family with my Zodiac traveling on the MV Coho from Victoria, BC to Port Angles, WA. The photo was taken by Judy Berrian on September 17, 2007. There were three English Fords on the Coho that sailing, my Zodiac, Judy and Kevin with my Mk III Cortina and Butch Holmberg and his wife Jenna with their 300E Thames. When was that last time that many EnFos were on the same sailing of the Coho? Probably not since the Seventies. 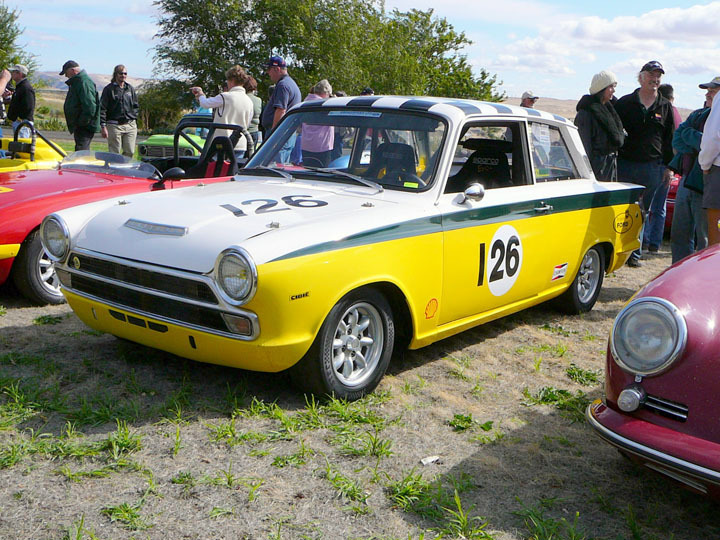 Here is a picture of EFONA member Mark Viskov�s Mk I Cortina at the Maryhill Loops Hill Climb in Goldendale, Washington, on Sept 29 & 30 2007. The photo was taken by Judy Berrian. 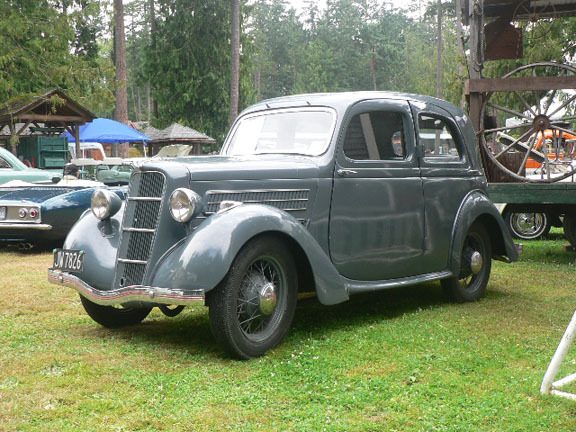 This photo of a 1937 Ford Model CX was sent to me by John Beresford of the Old English Car Club and was taken on Vancouver Island in August 2007. The car was imported from New Zealand this year and has since been sold to Rick Rice in Oregon. 12/13/07: Spotted a white Fiesta on Hwy 300 (North Shore Hwy) near Belfair, WA. Looked like a daily driver. Five years ago I remember seeing Fiestas in Belfair regularly, but not anymore. 12/28/07: Euro-Ford spotting from the kitchen table -- an orange Fiesta just drove by my house here in Olympia, WA. I think it has been two or three years since I've seen a Euro-Ford in my neighborhood (that wasn't coming to visit me). The shipping company is coming in the morning to take my Ford 20M to Norway, via Long Beach, CA. I hope some Euro-Ford lover will get a glimps of it as it is hauled down I-5 this weekend. If anybody sees it, please let me know.